Starting a new project is exciting, but you must do your due diligence ahead of time to ensure you start off on the right foot. Read on to learn more about the key details of the initiation phase, including how to create a project charter, define scope, identify objectives, and set expectations. You’ll also find helpful resources like free templates, guides, and best practices. What Is the Project Initiation Phase? The initiation phase encompasses all the steps you must take before a project is approved and any planning begins. The goal is to define your project at a high level and tie it into the business case you wish to solve. You should be able to answer two questions: why are you doing this project and what is the business value you expect to deliver? Consider the feasibility of your project and all of the stakeholders that may be affected or require involvement. Once the initiation phase is underway and you’ve been given the green light, you need to create your project charter, or project initiation document (PID). The project charter outlines the purpose and requirements of the project. It includes details, like business needs, key participants and stakeholders, scope, objectives, and overall goals. The project charter provides a foundation for defining project decisions and ensuring they are in line with company goals. Project scope is the identification of the project’s goals, deliverables, budget, and schedule. While scope can change over time, it’s essential that you define scope early on to set expectations with all stakeholders. 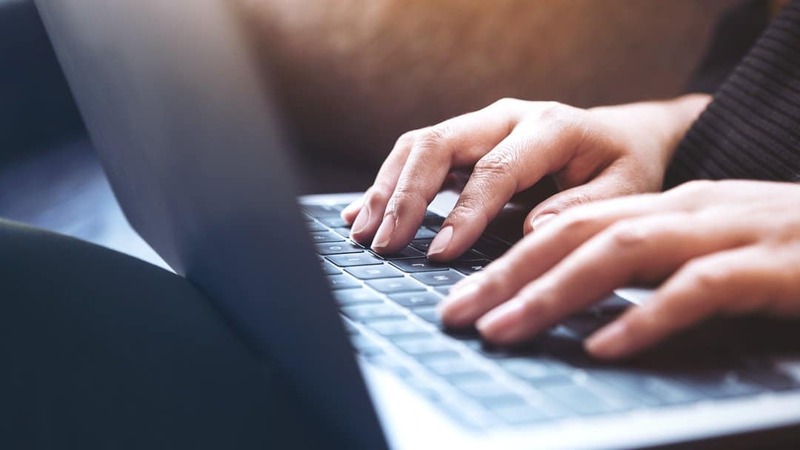 Because a successful project is measured by its ability to complete the stated requirements on time and on budget, it’s important for the requirements to be clearly defined at the onset. Completing this step early on not only sets expectations but also provides a framework for you to fill in the details in order to deliver your project on time. Plan Scope: Decide how scope will be defined, monitored, and controlled. Control Scope: An ongoing phase where you manage stakeholder expectations. Collect Requirements: In this phase, you define project requirements needed to carry out your project. Define Scope: Once you have requirements you can finally define scope including what is out of scope. Create Work Breakdown Structures (WBS): This common project management tool breaks the broad project scope into a hierarchy of tasks. Validate Scope: In this phase, internal and external stakeholders formally sign off on the proposed project scope and deliverables. Like the scope, having set goals and objectives for your project can help you avoid risks and steer a course to project success. Having clear objectives will help your team stay on track because they know precisely what they’re working towards. An objective is specific and measurable and must meet time, budget, and quality constraints. A project may have one objective, many parallel objectives, or several objectives that must be achieved sequentially. Specific: Define objectives clearly and in detail, leaving no room for interpretation. Measurable: Identify the key performance indicators you’ll use to determine if you met your objectives. Attainable: Pick objectives that are reasonable for the team to successfully complete. Realistic: Set objectives that the project team believes can be achieved. Time-Bound: Set a date or specific period that you plan to accomplish the objectives. Successful project managers ensure that they have the right stakeholders involved early on. Many project managers often overlook less obvious - yet critical - stakeholders, so it’s important to consider everyone that may be impacted by or have interest in the project plan, deliverables, and outcome. The other thing to remember is that stakeholders can be internal and external. To maintain transparency throughout the project, guarantee that you have the right tools and processes in place to communicate effectively with all stakeholders. Who are the stakeholders who have the most influence on your project? Which stakeholders will be most affected by your project? How should you handle important people who aren’t considered stakeholders? What are the top motivations and interests of your stakeholders? 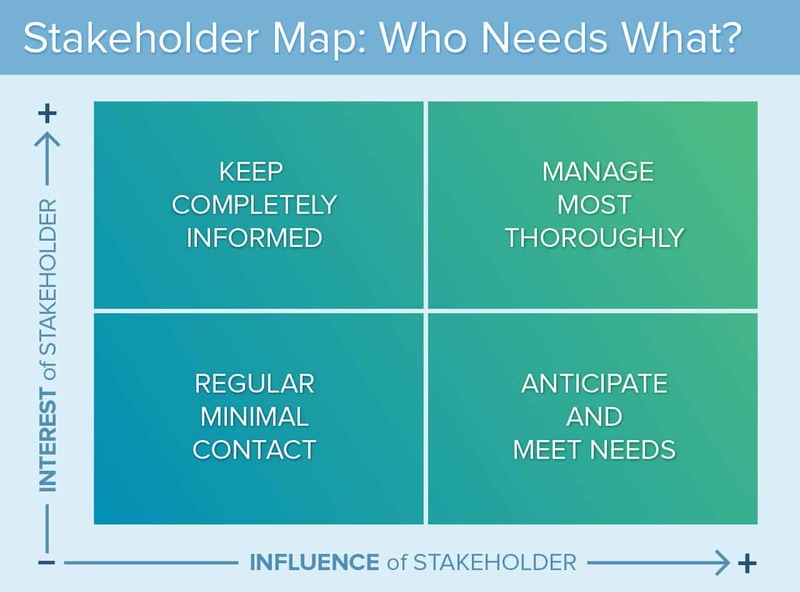 You may even consider mapping the various stakeholders on a Stakeholder Map, based on level of influence and level interest, to determine who needs what and when. Setting clear expectations of project objectives and goals, deliverables, timelines, resources required, and budgets, is key to the success of your project. Of course, it’s virtually impossible to anticipate every issue that may occur and throw project timelines for a loop. But putting the effort in up front to consider and communicate all of the potential issues, and then being transparent as things change, will make a world of difference in keeping all parties on the same page. Ensure the project charter is complete and well thought-out. Plan for risks and potential hiccups. Estimate realistic timelines and budgets, but allow for some padding. Share project plans with all internal and external stakeholders. Set milestones throughout the project timeline to show incremental progress. Provide regular updates and real-time status reports. Be honest if things go wrong.